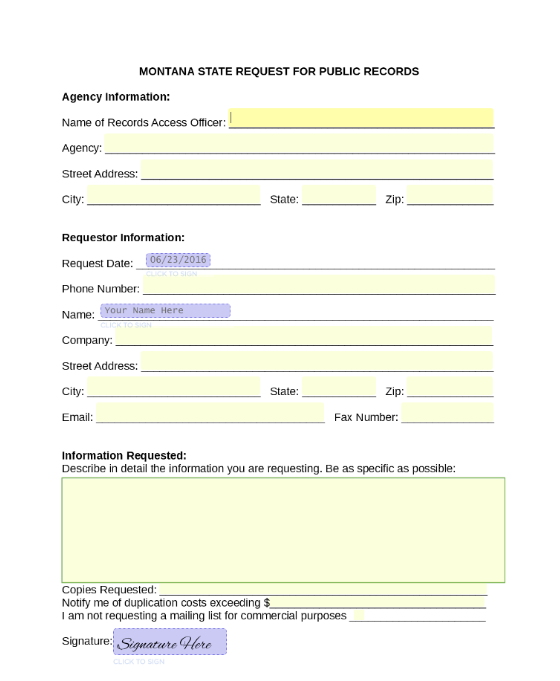 The Montana Public Records Act allows any person to request public records in the state without a statement of purpose. 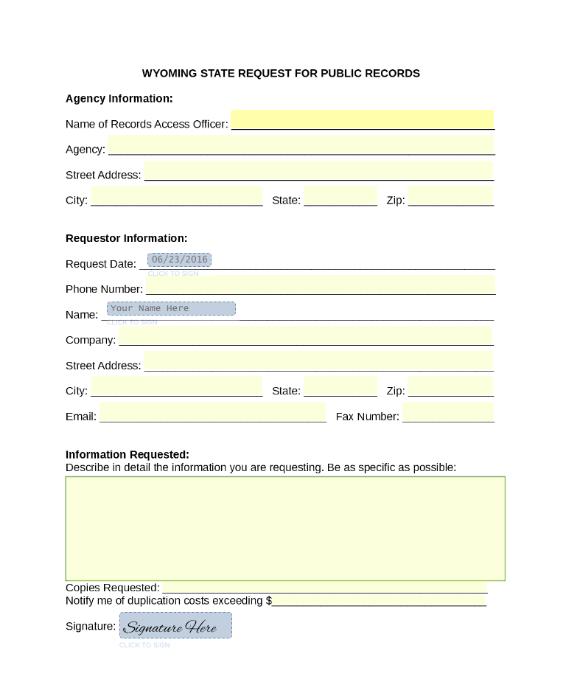 Here is a template for requesting public records in Montana in compliance with the Public Records Act. 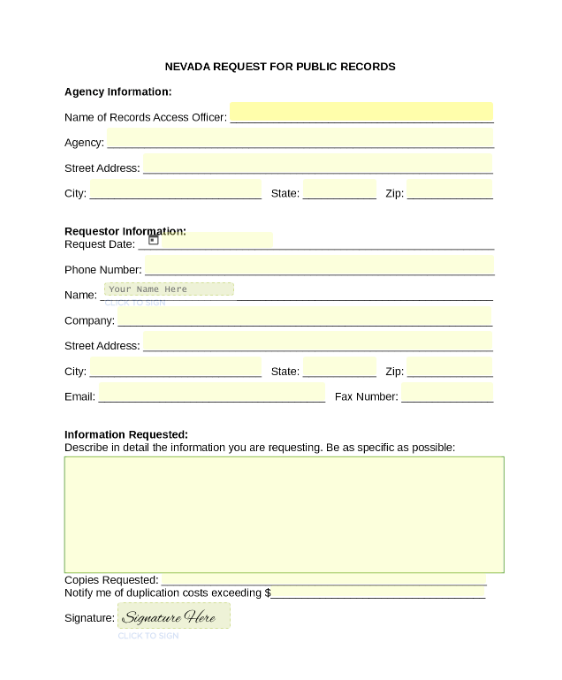 The Nevada Open Records Act allows anyone to request public records with no statement of purpose. There are no restrictions on how the records may be used. 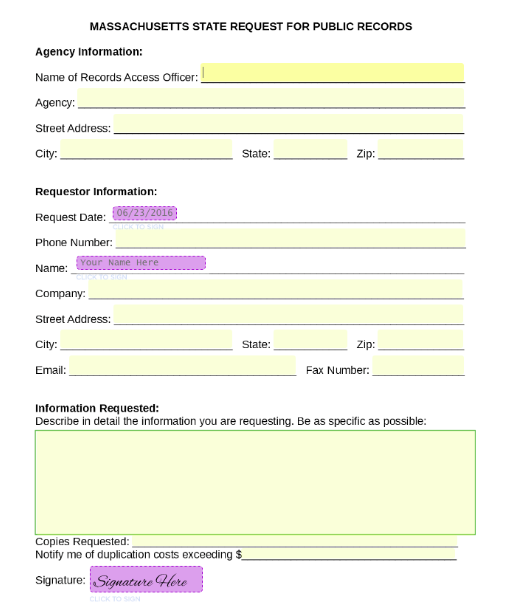 Here is a template for requesting public records in the state of Nevada in compliance with the Open Records Act. The Open Public Records Act ("OPRA") provides that government records must be made readily accessible for inspection, copying, or examination by records requestors, with certain exceptions. OPRA includes twenty-five (25) specific exemptions from disclosure within its many provisions. OPRA requests must be in writing and for specific documents. 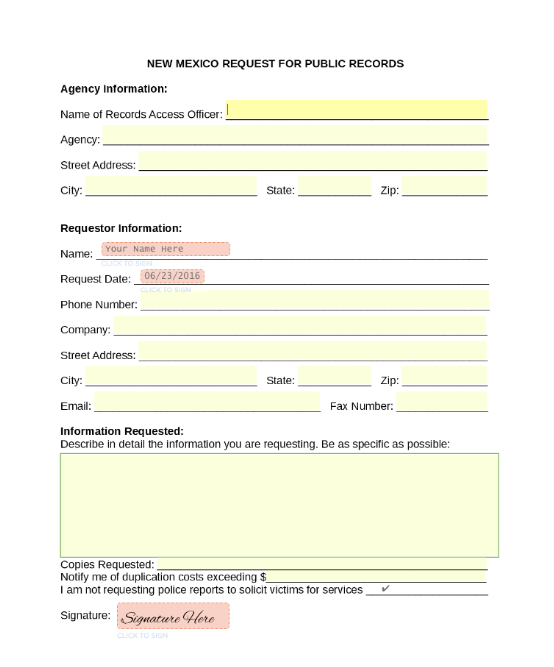 The New Mexico Inspection of Public Records Act (IPRA) allows any person to request public records without a statement of purpose. There are restrictions on police reports. 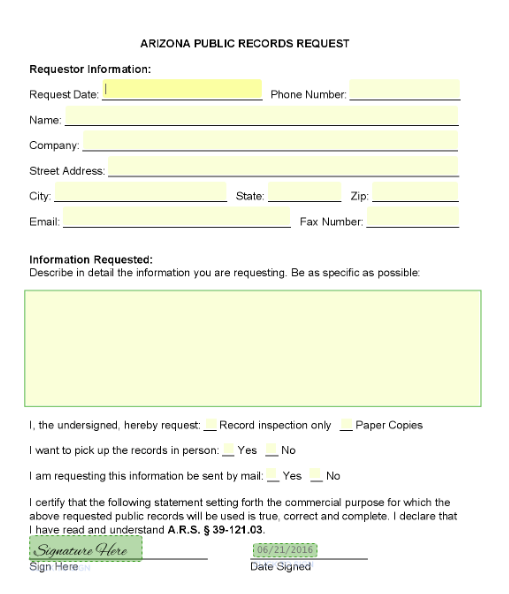 On this page you will find a template form for requesting public records in New Mexico in compliance with the IPRA. 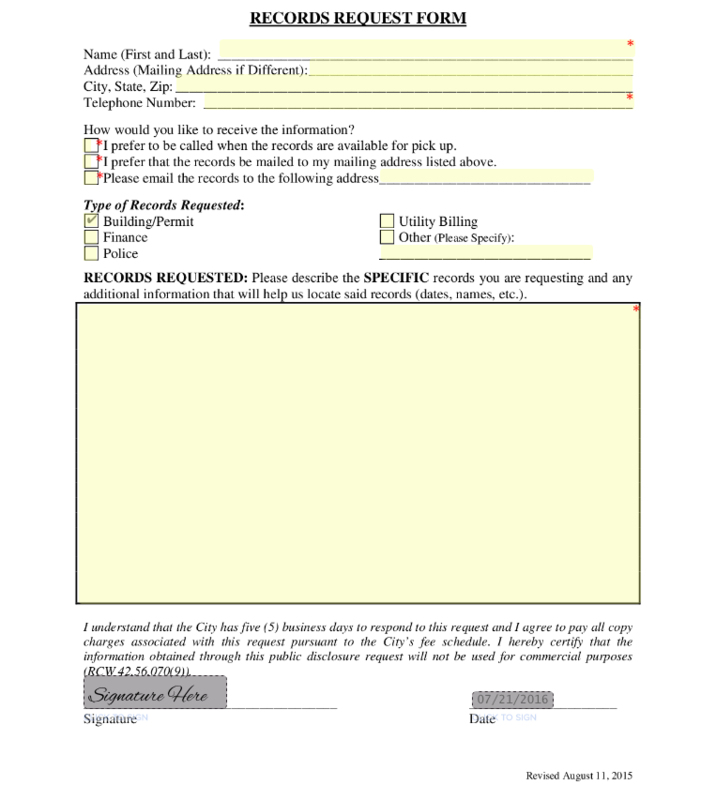 The New York Freedom of Information Law (FOIL) allows anyone to request records in New York. A statement of purpose is usually not required but several courts consider the requestor's motives prior to granting access to the records. 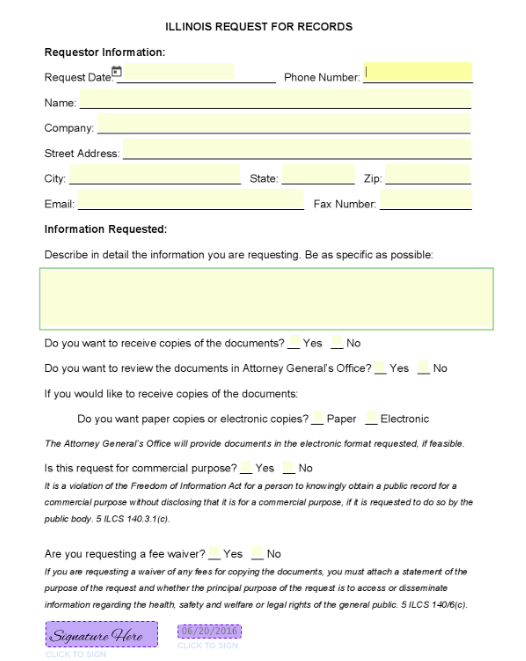 Here is a template for requesting public records in New York in compliance with the New York FOIL. The Missouri Sunshine Law deems certain material open to the public, including meetings, records, votes, actions and deliberations of the public government. Any citizen is able to obtain these records. 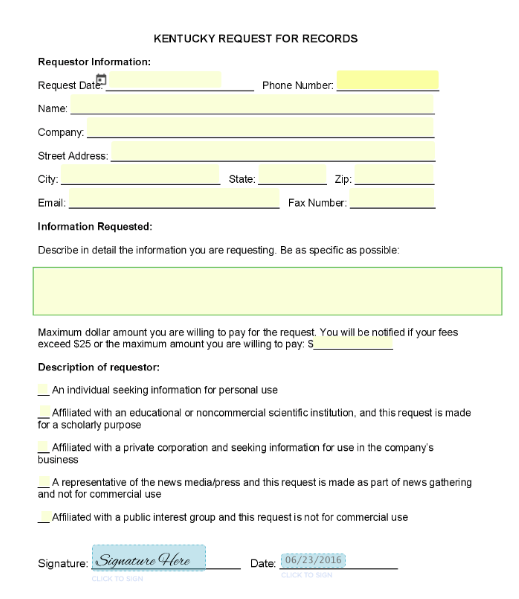 This is a template for requesting public information in Missouri in accordance with the Missouri Sunshine Law. The Mississippi Public Records Act allows all citizens the right to public records at their request. Records can be any book, record, paper, account, letter, map, photograph, film, card, recording or documentary material. 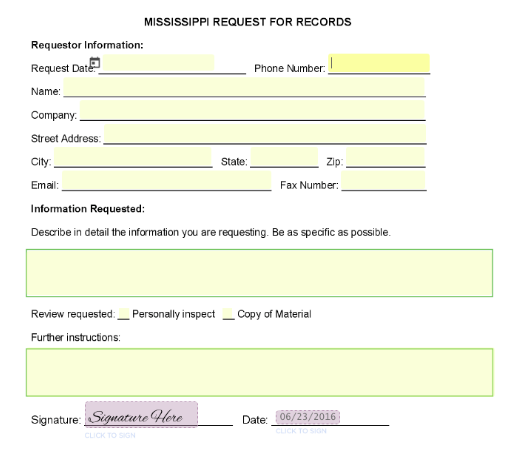 This is a template form for requesting public information in Mississippi in alliance with the Mississippi Public Records Act. 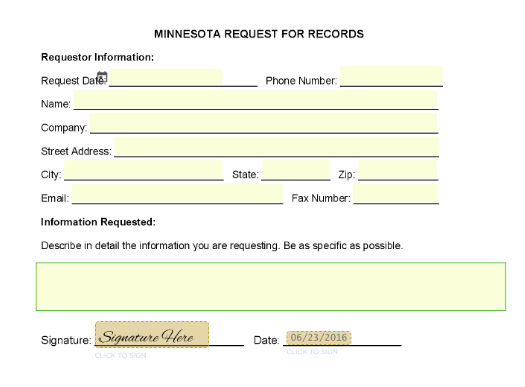 The Minnesota Open Records Law allows all citizens to request public records held by the government. Citizens are entitled to have the information they requested explained to them if they do not comprehend it. 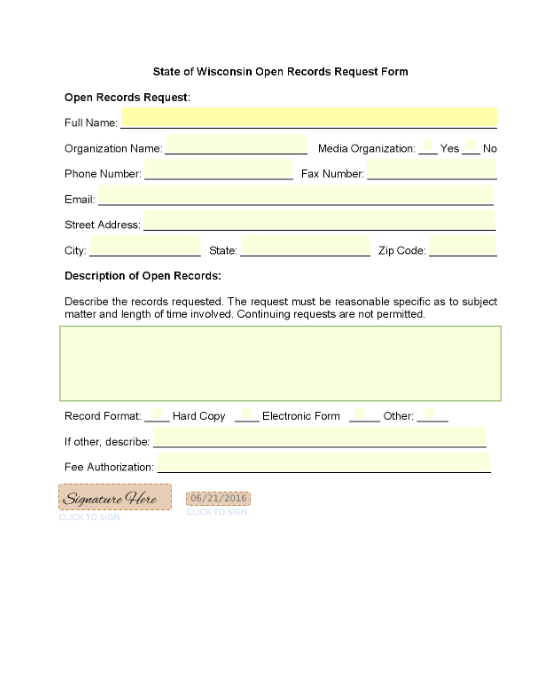 This is a template for requesting public records in Minnesota in association with the Minnesota Open Records Law. This is a sample form provided by the State of Michigan. 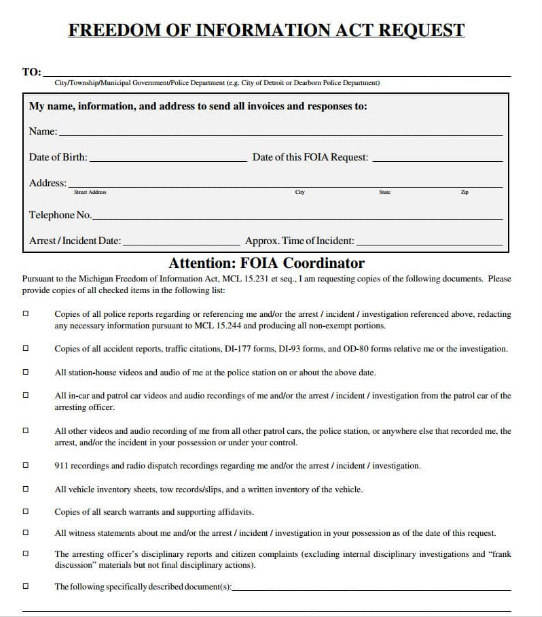 This FOIA form can easily be customized by each local government and will ensure it is notifying the requestor of appropriate information. Most requests are made in writing to specific offices in which information is held. Response time is up to 5 business days. Exemptions: private information, trade secrets, advisory communication with government, attorney-client communications, medical and psychological care, campaign committees and select law enforcement records. Most requests are made in writing to specific offices in which information is held. 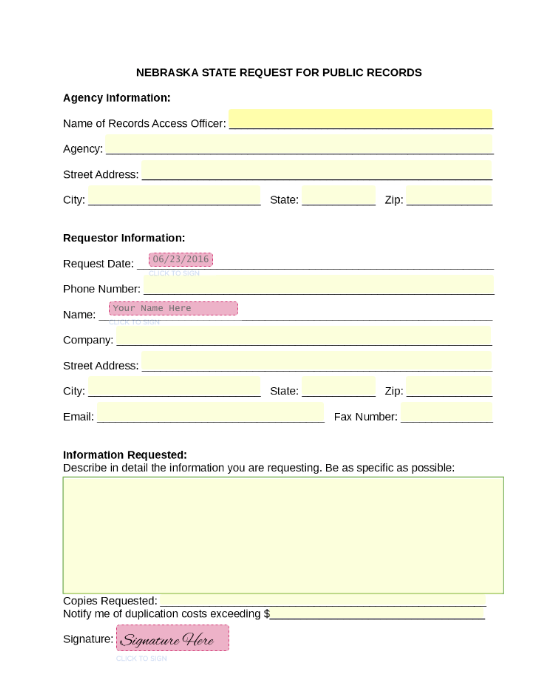 The North Dakota Open Records Statute allows anyone to request public records with no statement of purpose requirement. 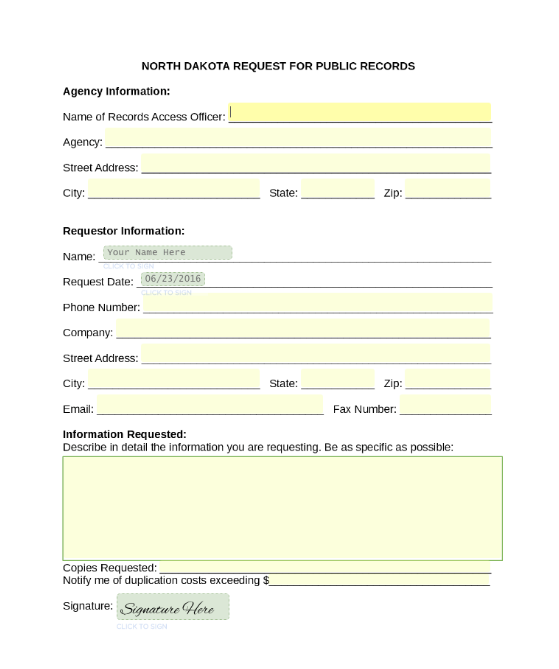 On this page you will find a template for requesting public records in North Dakota in compliance with the Open Records Statute. The Massachusetts Public Records Act allows anyone to request public records with no statement of purpose. There are no restrictions on the use of records. 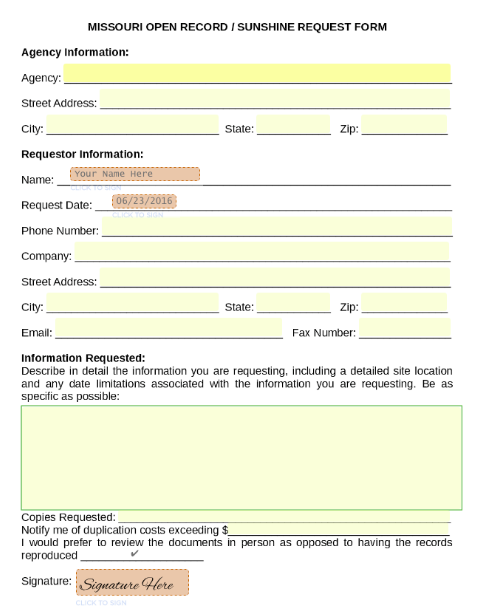 Here is a template for requesting public records in Massachusetts in compliance with the Public Records Act. The Maryland Public Information Act allows any person to request public records with no statement of purpose. 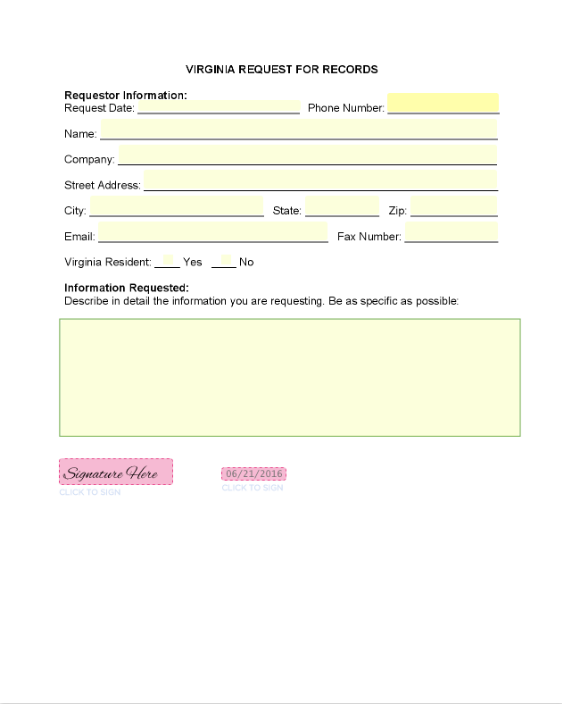 Here is a template for requesting public records in Maryland in compliance with the Public Information Act. The Ohio Open Records Law allows anyone to request public records without a statement of purpose, and requests can even be made anonymously. 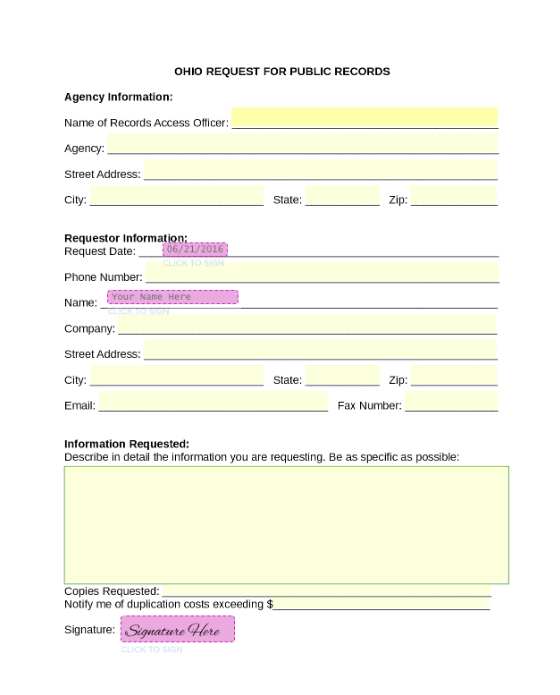 Here is a template for requesting public records in Ohio in accordance with the Open Records Law. According to the Maine Freedom of Access Act, all citizens are permitted to request certain records from the government. Not all public records are accessible, as the government of Maine strives to protect the privacy of individuals. 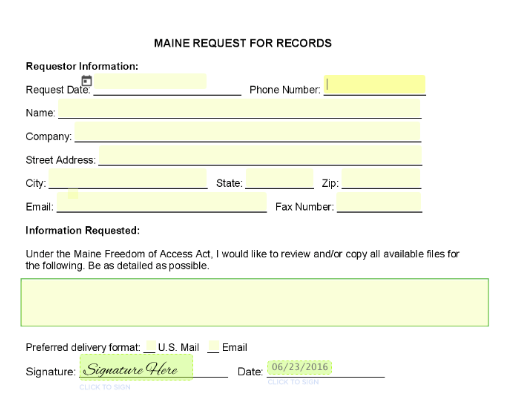 This is a template form for making requests in Maine under the Freedom of Access Act. According to the Oklahoma Open Records Act, anyone may request public records without a statement of purpose. There are fees for commercial use of records. 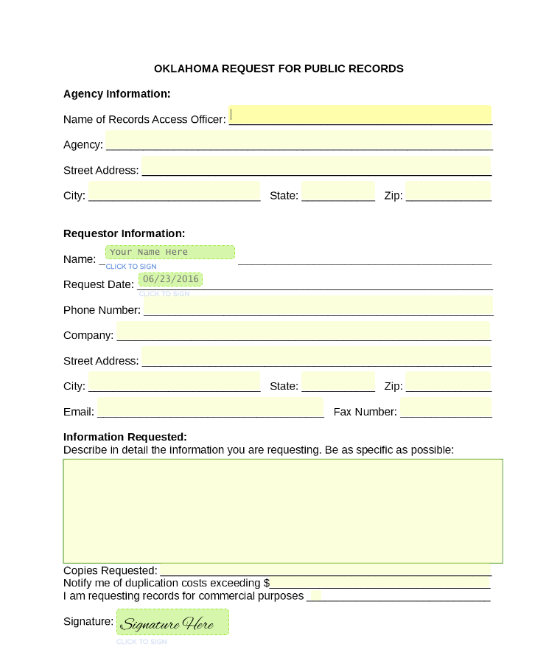 Here is a template for requesting public records in Oklahoma in compliance with the Open Records Act. The Louisiana Public Records Act allows anyone to request public records without a statement of purpose. 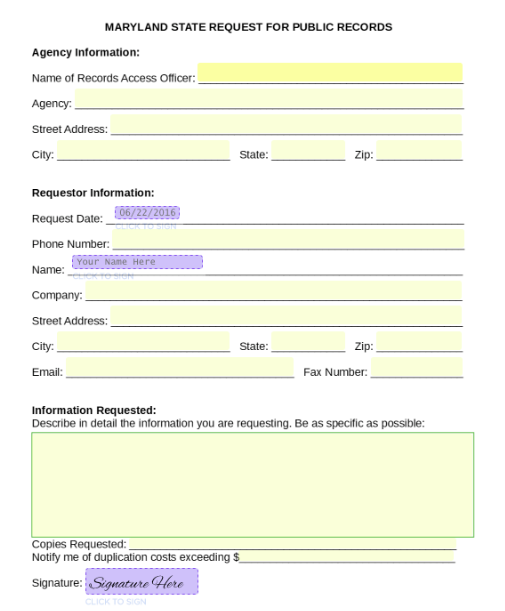 Here is a template for requesting public records in Louisiana that complies with the Public Records Act. The Kentucky Open Records Act allows all citizens to access public information upon their request. This law allows transparency between the government and the people of Kentucky. 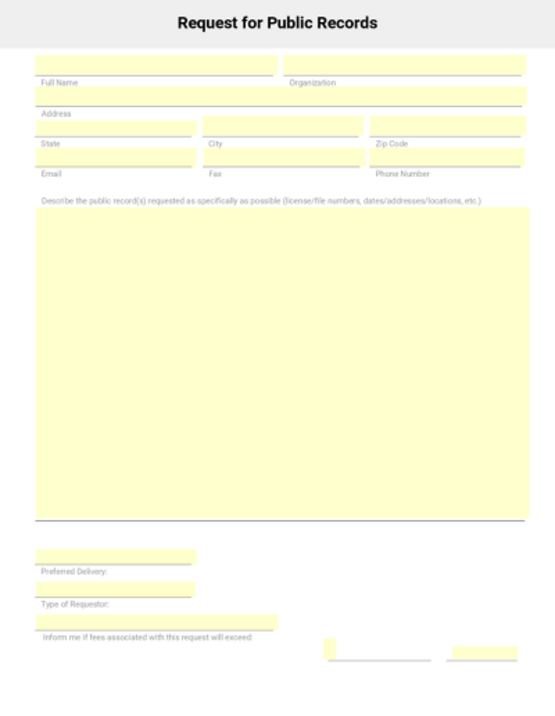 This is a template form to request public information under the Open Records Act in Kentucky. The Oregon Public Records Law allows anyone to request public records without a statement of purpose. There are no restrictions on how the records may be used. 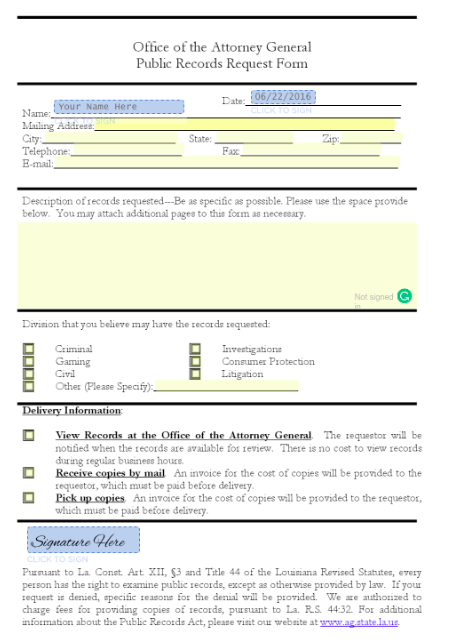 Here is a template for requesting public records in the state of Oregon in compliance with the Public Records Law. The Kansas Open Records Act allows anyone to obtain copies of public records unless specified by legal authorities. 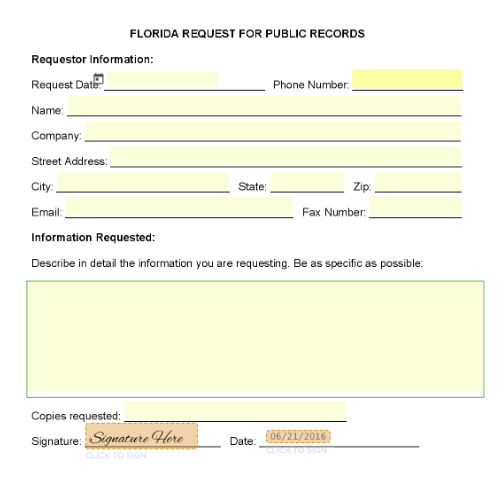 In order to make a records request, citizens must submit a request to the specific agency that has the records they are pursuing. 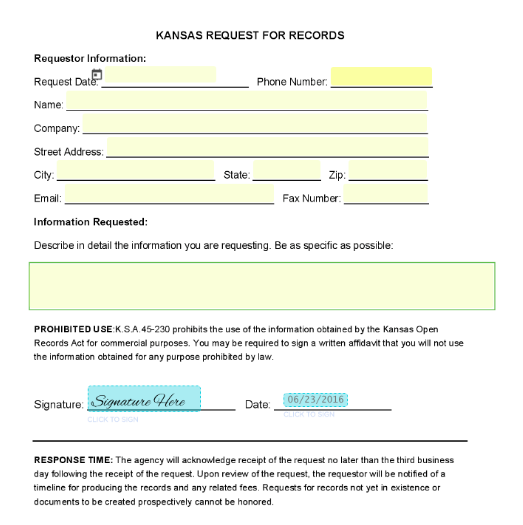 This is a template form for requesting public records in Kansas with the Kansas Open Records Act. The Iowa Open Records Law guarantees that the public has access to public information from the government. The only records that are not accessible are documents that are deemed confidential. 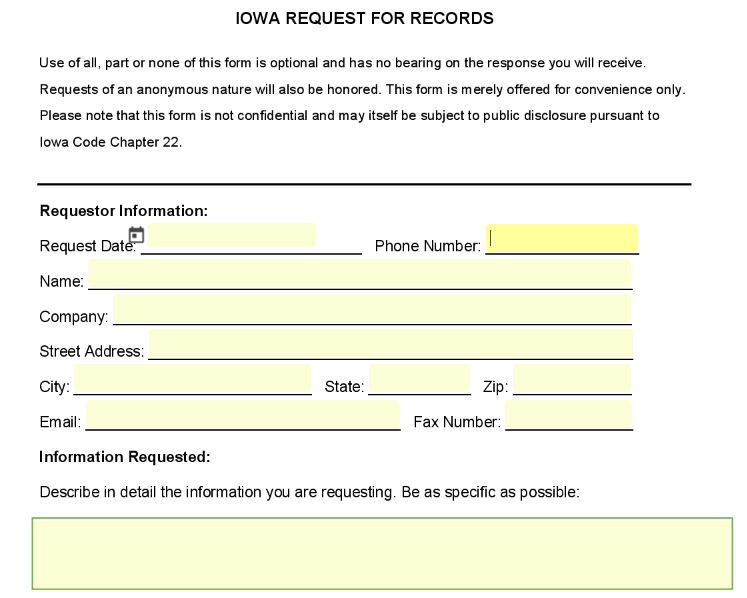 This is a template form for requesting public information in Iowa in accordance with the Iowa Open Records Law. 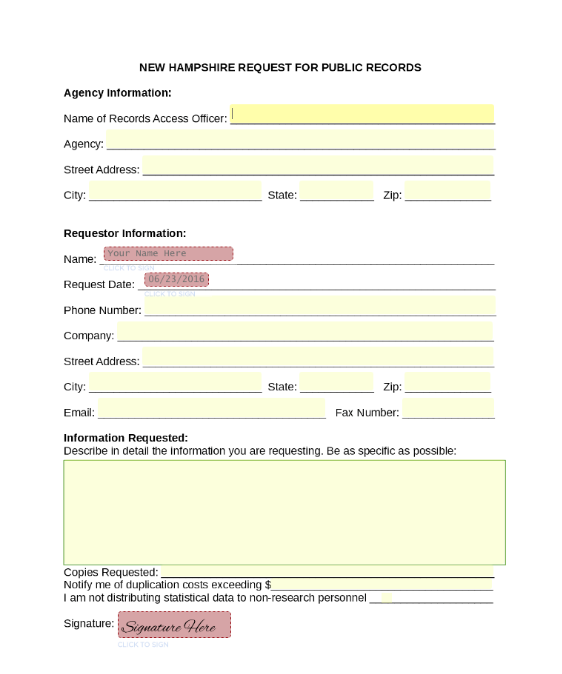 Rhode Island Access to Public Records Act (APRA) allows any person to request public records with no statement of purpose. There is a restriction on commercial use of public records and the response time is 10 business days. 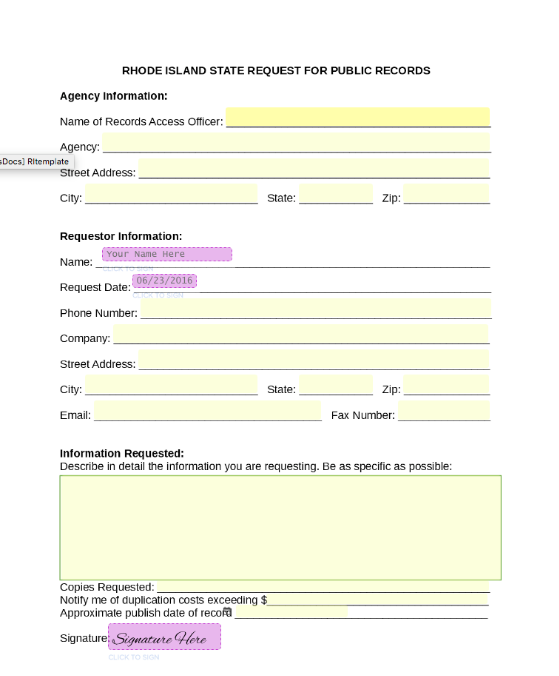 Here is a template for requesting public records in Rhode Island in compliance with APRA. The South Carolina Freedom of Information Act allows the public to access governmental public records within South Carolina. Everyone is eligible to access public records, regardless of their characteristics. 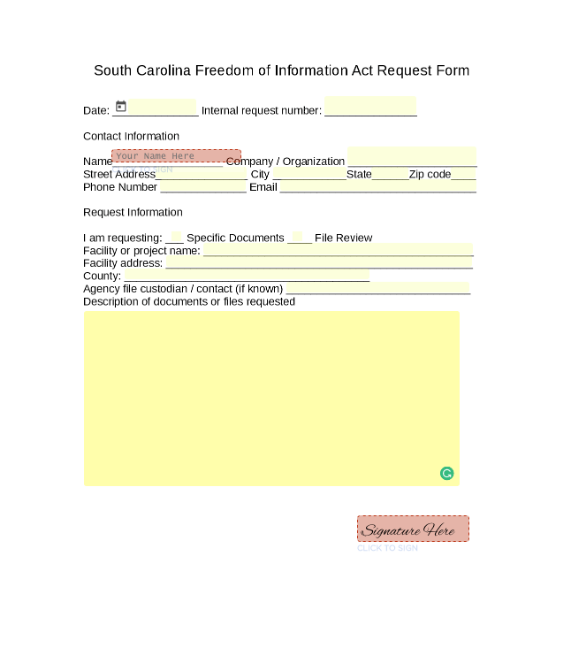 This is a template form for requesting public records in South Carolina under the South Carolina Freedom of Information Act. 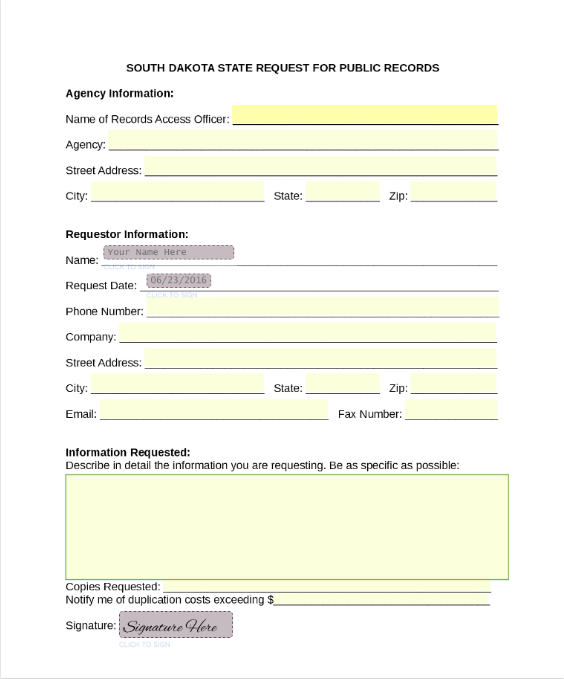 The South Dakota Sunshine Law permits any person to request public records without a statement of purpose nor restrictions on the use of those records. On this page is a template for requesting public information from South Dakota in compliance with the Sunshine Law. Under the Illinois Freedom of Information Act, any person can request public records but those records must not be used to advance a commercial enterprise, violate individual privacy, or disrupt the public body. 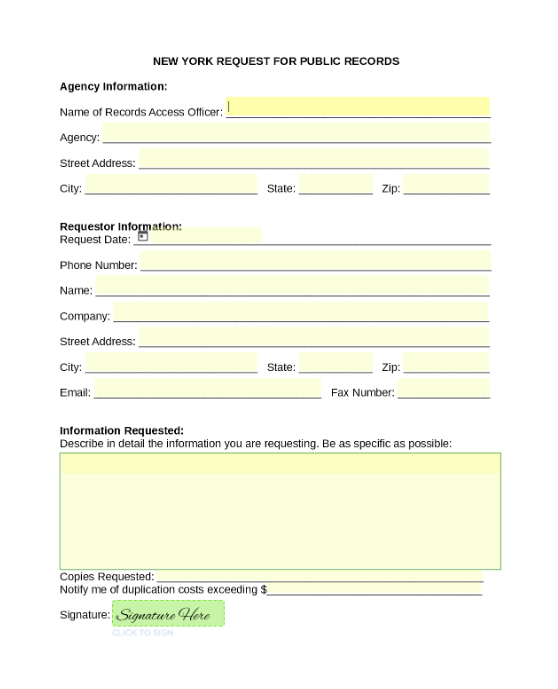 Agencies have five days to deny or comply with a written request for public records.This is a template form for requesting public records in Illinois in accordance with the Illinois Freedom of Information Act. 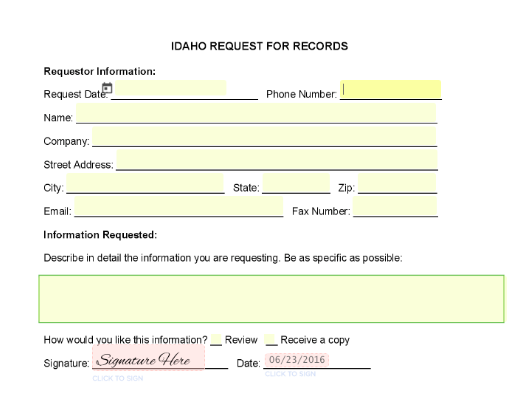 The Idaho Public Records Act allows citizens to request records within the State of Idaho. 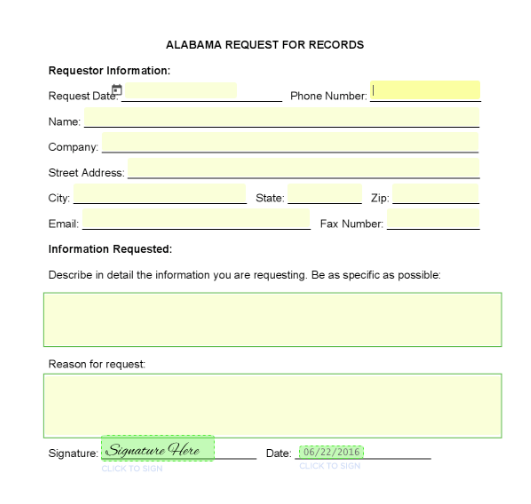 When requesting records, the requestor does not have to clarify their purposes, however, they cannot use the records to create calling or mailing lists. 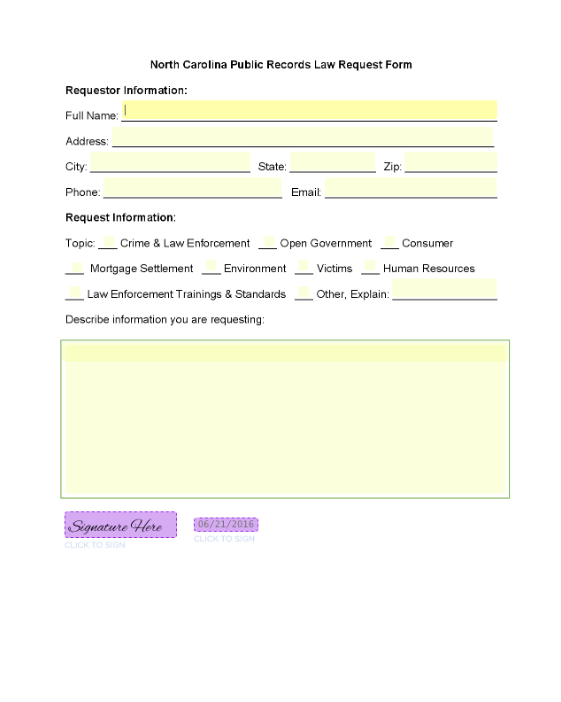 This is a template form for requesting public information in Idaho in accordance with the Idaho Public Records Act. In Texas, FOIA is implemented as the Texas Public Information Act. Any person in Texas can request public information without a statement of purpose. 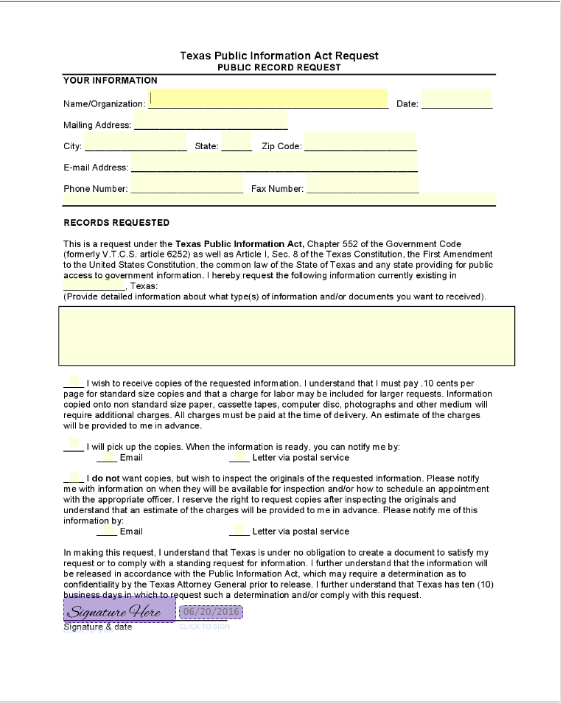 This is a template form for requesting public records in Texas in accordance with the Texas Public Information Act. The Hawaii Uniform Information Practices Act is a law that allows the distribution of governmental public records. Records are described as materials that are maintained by the government and agencies in any form. 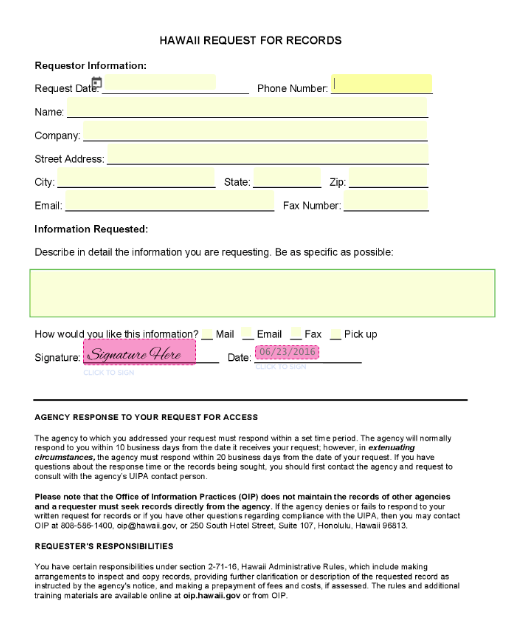 This is a template form for requesting public information in Hawaii in accordance with the Hawaii Uniform Information Practices Act. Any citizen of Georgia can request public records under the Georgia Open Records Act without a statement of purpose. Agencies have three days to deny or comply with a request, and multiple exemptions apply. There is no restriction on how records can be used. 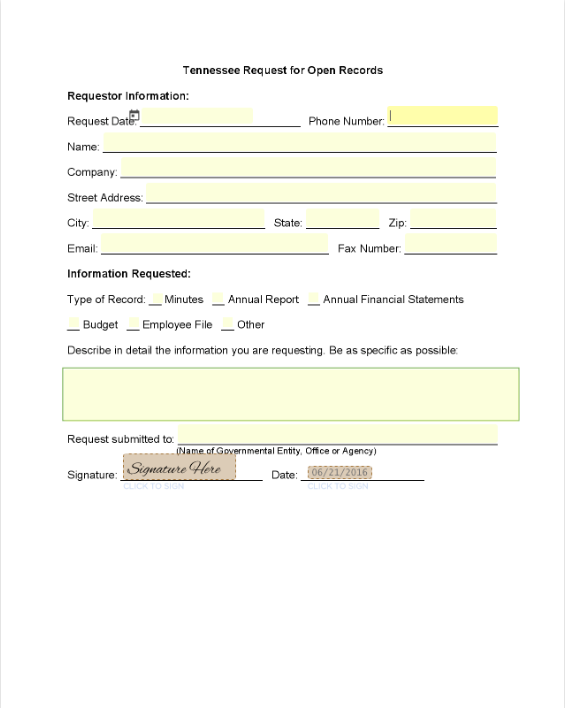 This is a template form for requesting public records in Georgia in accordance with the Georgia Open Records Act. The Utah Government Records Access and Management Act allows all people to obtain public records in Utah. 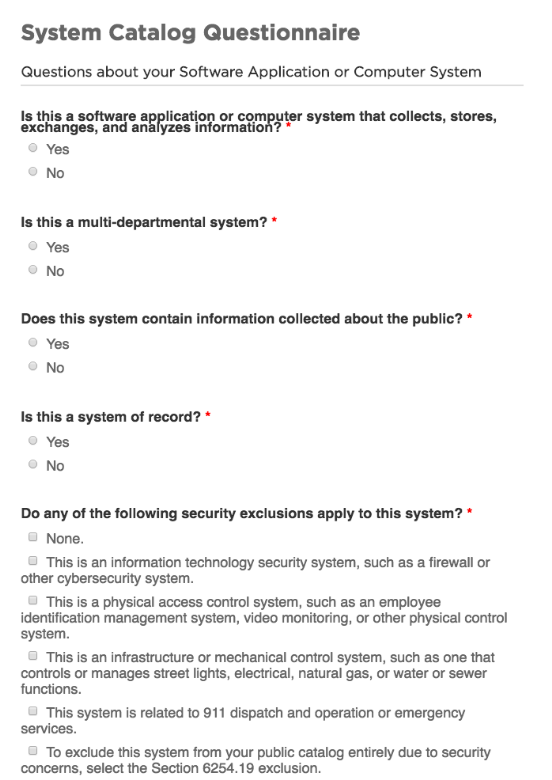 The only information excluded from this is private records about government employees and individual citizens, health records, and records that may result in security issues. 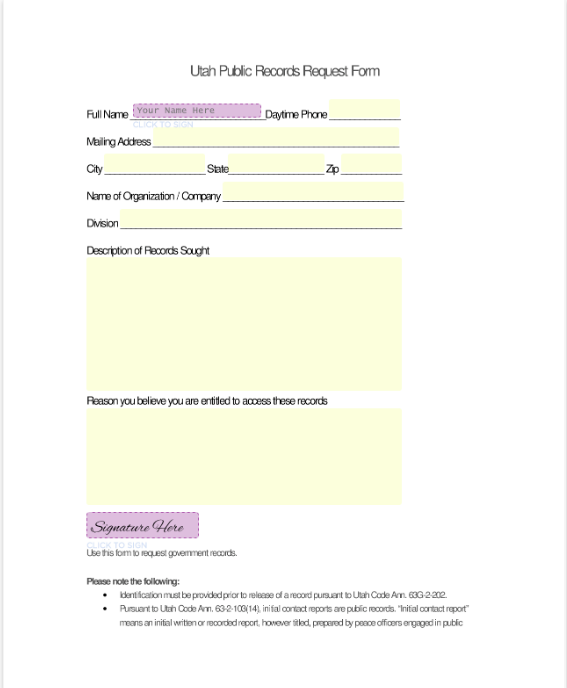 This is a template form for requesting public records in Utah in association with the Utah Government Records Access and Management Act. The Delaware Freedom of Information Act grants access to the public to obtain public records that are held by the government. Public records include any information of any kind owned, made and used by the government. 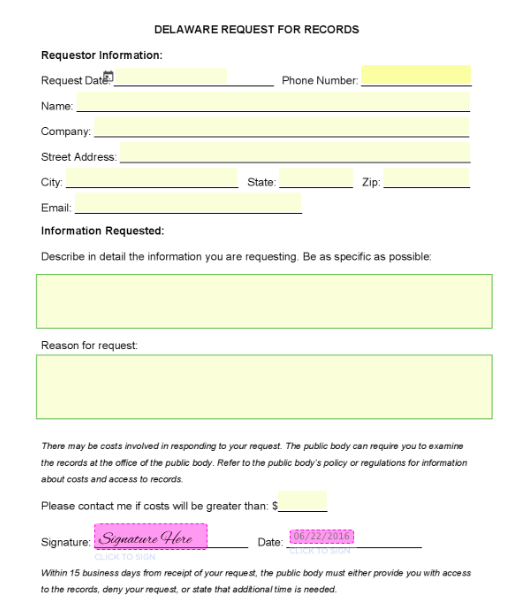 This is a template form for requesting public information in Delaware inline with the Freedom of Information Act. 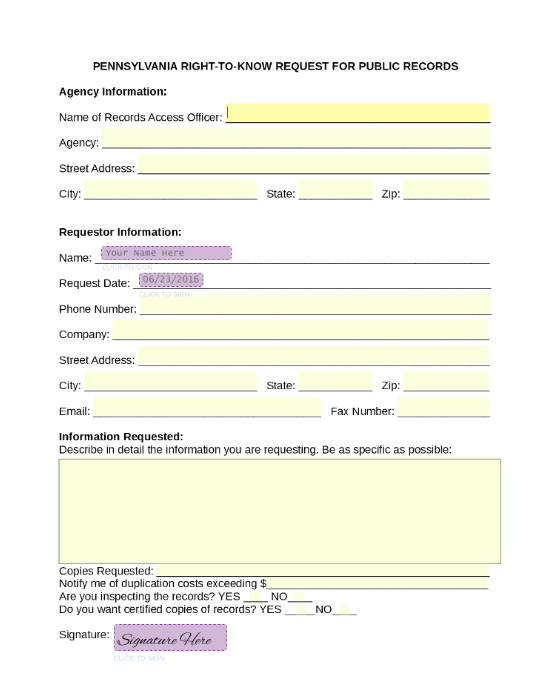 Under the Vermond Public Records Law, any person can request public records without a statement of purpose. There are no restrictions on the use of records. 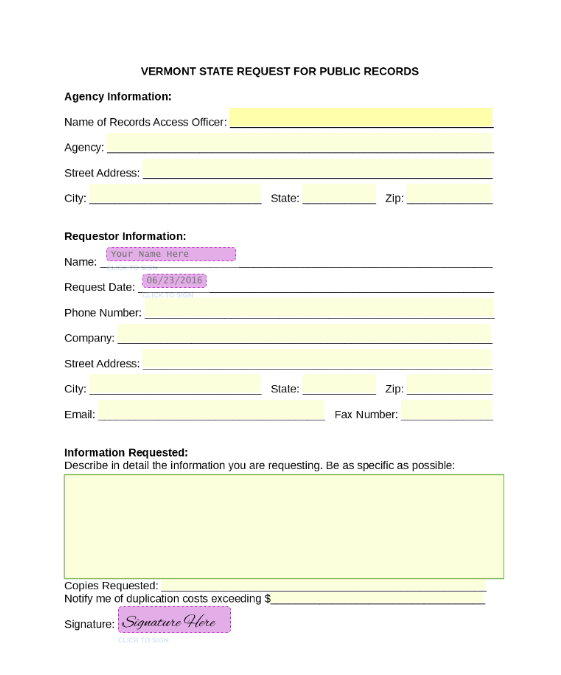 Here is a template for requesting public records in Vermont in accordance to the Public Records Law. The State of Washington abides by the Washington Public Records Act, which allows all citizens to obtain Washington records. 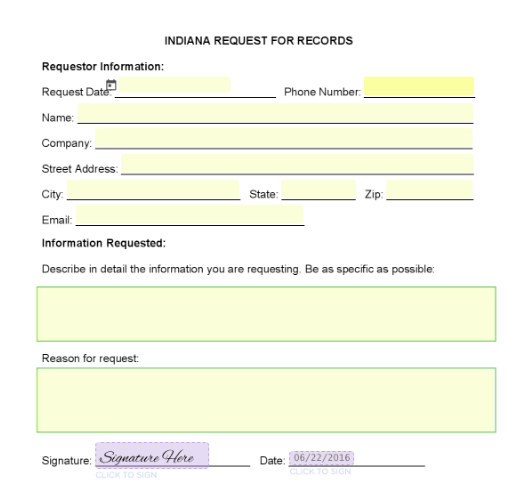 Records consist of any governmental information on a state and local level. All citizens are permitted to request access to this information. 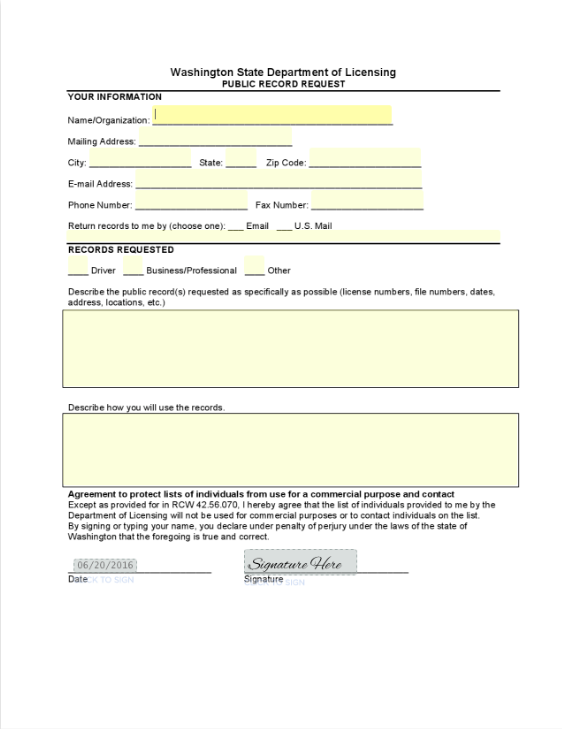 This is a template form for requesting public records in Washington under the Washington Public Records Act. The Connecticut Freedom of Information Act allows public access to governmental public records within the State of Connecticut. Public records are defined as any data or information that is kept by a public agency. 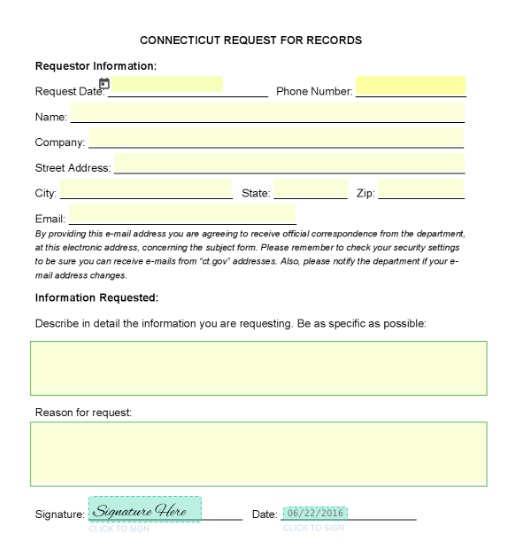 This is a template form for requesting public information in Connecticut in accordance with the Freedom of Information Act. Under the West Virginia Freedom of Information Act, anyone can request public records without a statement of purpose. There are no restrictions on the use of records. 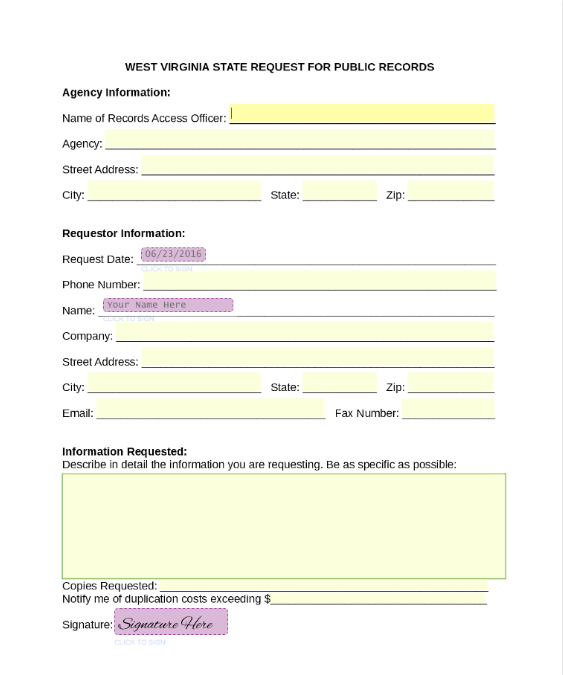 Here is a template for requesting public information under the West Virginia Freedom of Information Act. Under the Colorado Open Records Act, any person can request records without a statement of purpose. Agencies have three days to respond to record requests. Sveral exemptions apply. 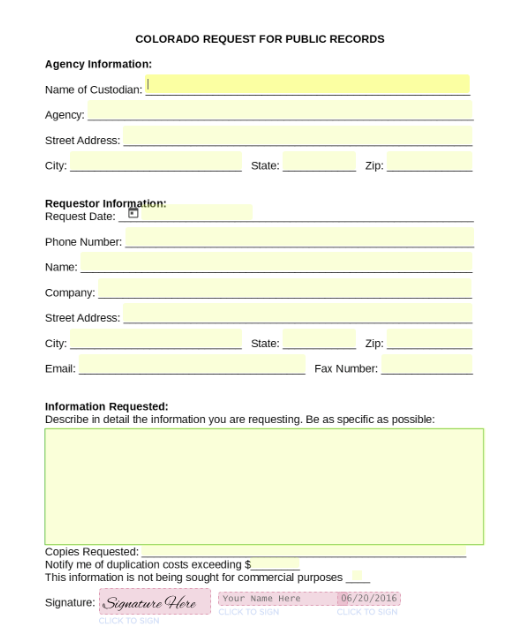 This is a template form for requesting public records in Colorado in accordance with the Colorado Open Records Act. The California Public Records Act Local Agency Inventory is a state mandate that requires all state agencies to create a catalog of enterprise systems. Any person can request public information in California without a statement of purpose under the California Public Records Act. 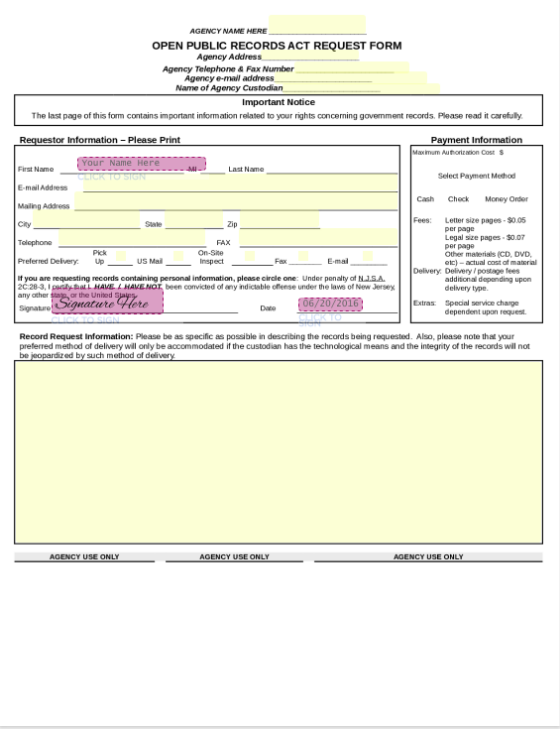 Agencies are permitted 10 days to comply with a records request. 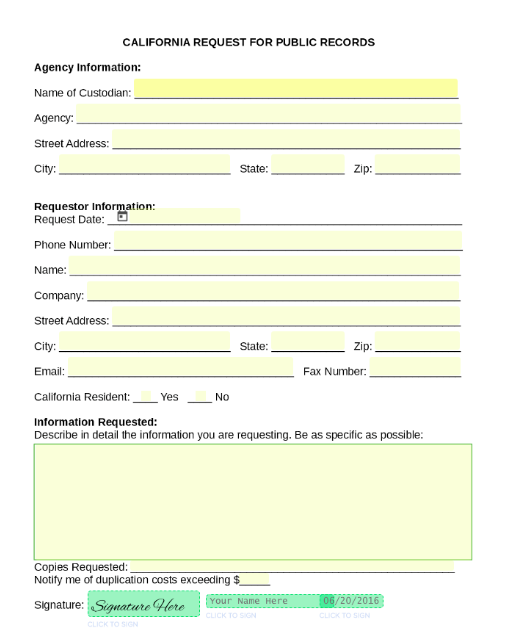 This is a template form for requesting public records in California in accordance to the California Public Records Act. The Arkansas Freedom of Information Act allows all citizens to have access to public records of the government. Public records include writings, recordings, films, electronic information and data kept by the government. 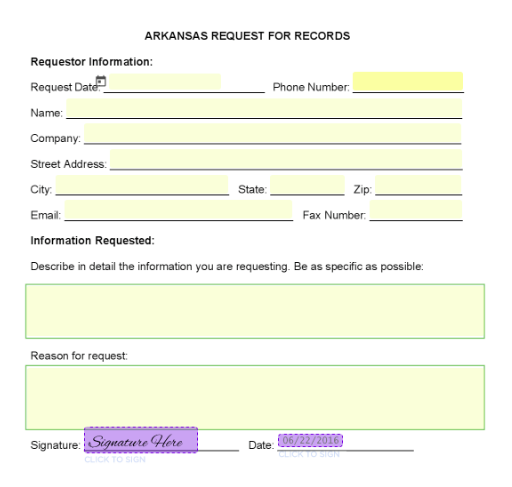 This is a template form for requesting public information in Arkansas under the Freedom of Information Act. 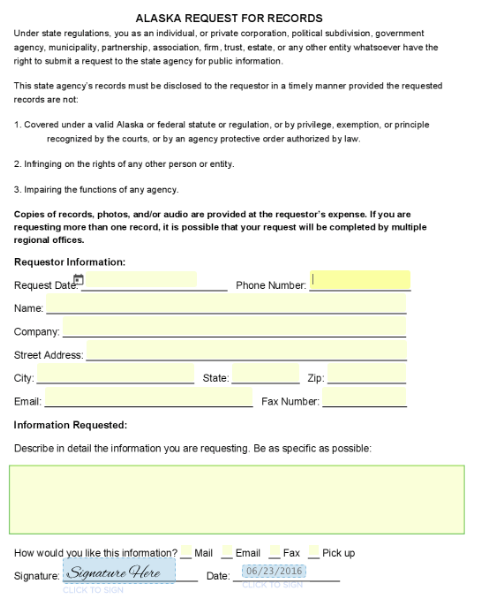 According to the Alaska Public Records Act, anyone is allowed to request records in Alaska. Those requesting records do not need to justify their reasoning behind the request. 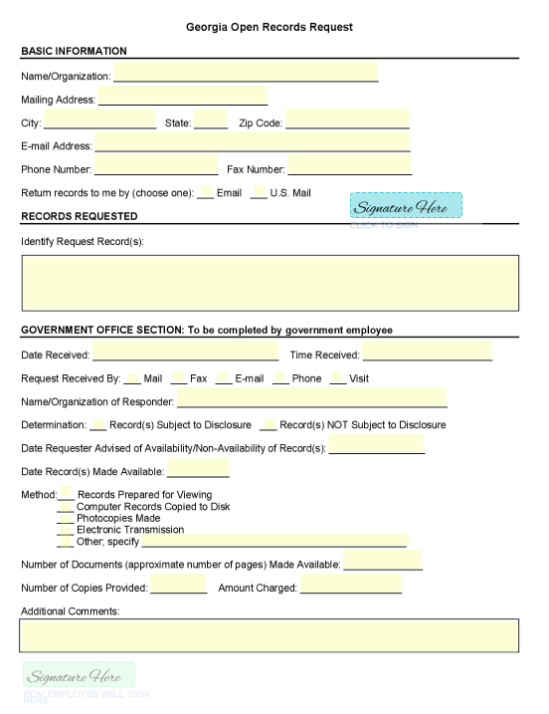 This is a template form for those interested in obtaining records under the Alaska Public Records Act.